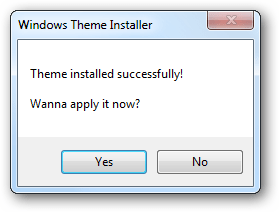 Download Windows 7+ Theme Installer and run it. 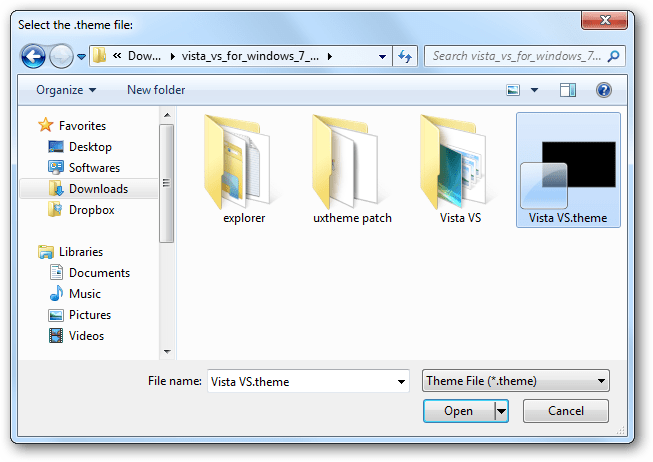 Click Browse and browse for the .theme file in the theme archive that you extracted. 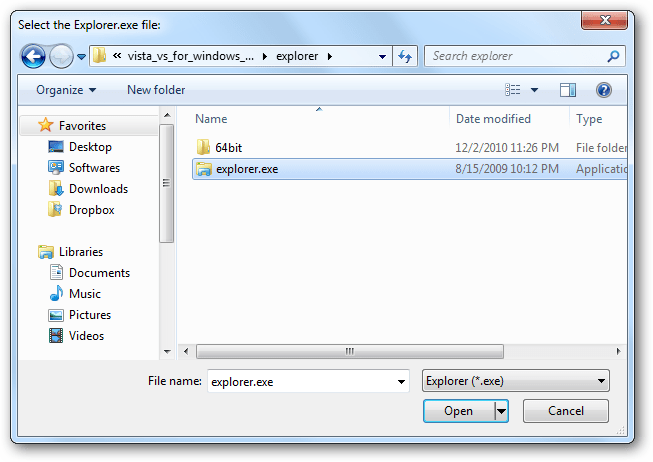 Click Browse and browse for the Explorer.exe file in the theme archive that you extracted. It is in the explorer folder for 32-bit users and in the explorer\64bit for 64-bit users. Now you will get the Windows Vista look & feel in Windows 7.